We Need a Tug for the Museum! Museum of Flying > We Need a Tug for the Museum! For years, we had a very generous neighbor at the airport who graciously allowed us to borrow his tug and help us move our airplanes in, out, and around the museum. Unfortunately, he has moved away from the airport. We are now in great need of our own tug. 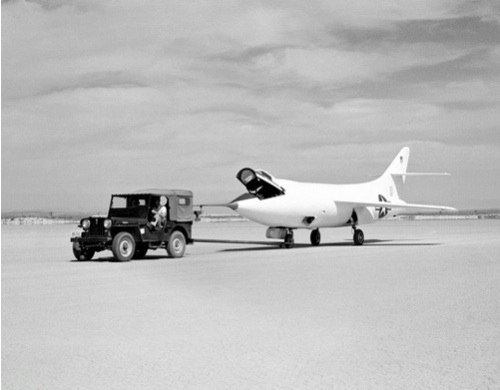 In order for us to move our exhibited airplanes, we close the street and with the help of the Airport police, pull our planes down the city street to the front and back of the Museum. We travel over curbs to get in and out and onto the street. We also we pull up our aircraft up a ramp through our hanger door and in and out of the Museum. Here is a fast motion video of us moving airplanes in, out, and around the museum. Since we need to tug our planes, we intend to buy a Jeep! It will be restoration project and we will use it to tow the aircraft. A Jeep would fit our needs perfectly. 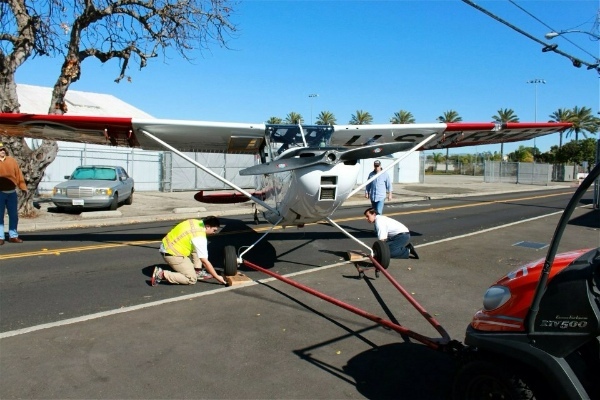 Jeeps have the towing capacity we need for the planes and the ability to go over obstacles, such as a curb. 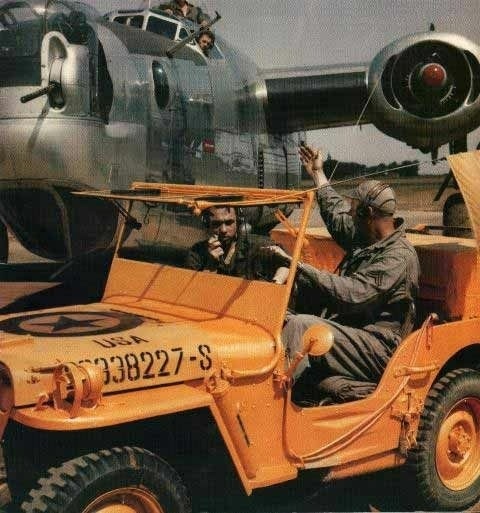 A Jeep would serve as both an aircraft tug and a museum exhibit for all to enjoy. 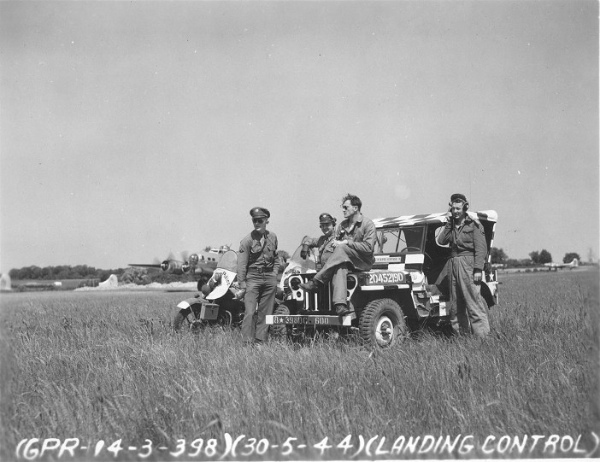 Jeeps were widely used by the Army Air Corp and many aviation companies, including Douglas, to tow aircraft. 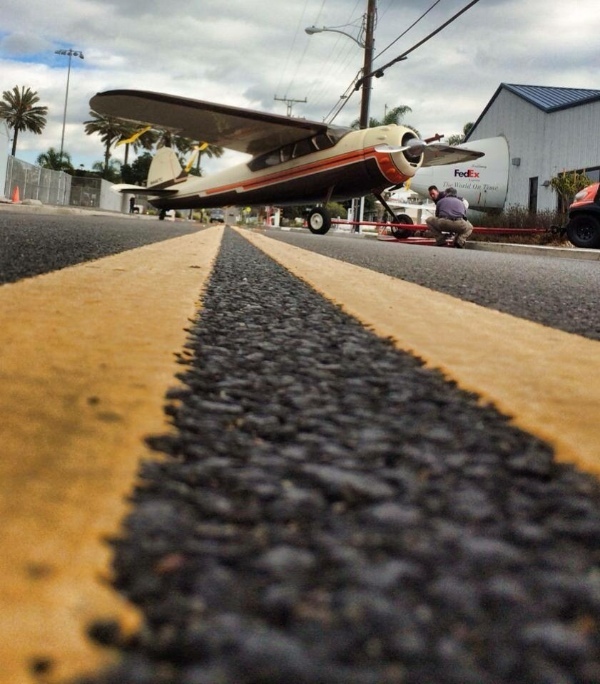 Our intentions are to restore the Jeep in an aviation scheme (as seen in the pictures below)to help educate visitors, both young and old, on the little told, but fascinating, relationship between the automotive and aviation industry during the war, as well as the impressive stories of WWII aircraft production here at the Santa Monica Airport. Your donation will help us find a restorable jeep and the restoration of it, as well as help us move new airplanes into the museum. Many school groups tour the museum throughout the year. With the help of the Jeep, as well as the aircraft it will help tug in, it will help us tell the story of our region’s past to a younger generation. Thank you for your time! To donate, please visit our gofundme page!